This eye popping ring reflects the care and skill of the expert team at Apples of Gold put into each piece of jewelry they create. 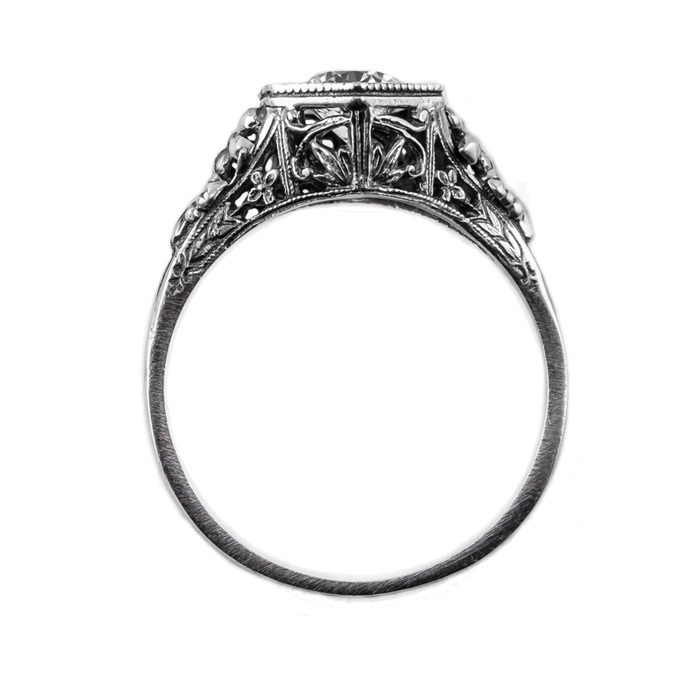 Using the top trends in fashion, we designed a stunning vintage style women's ring. The impressive sterling silver band was shaped to accent the smashing orchid tanzanite gemstone. With a total measurement of 5.5mm, this orchid tanzanite ring will look beautiful on every woman. 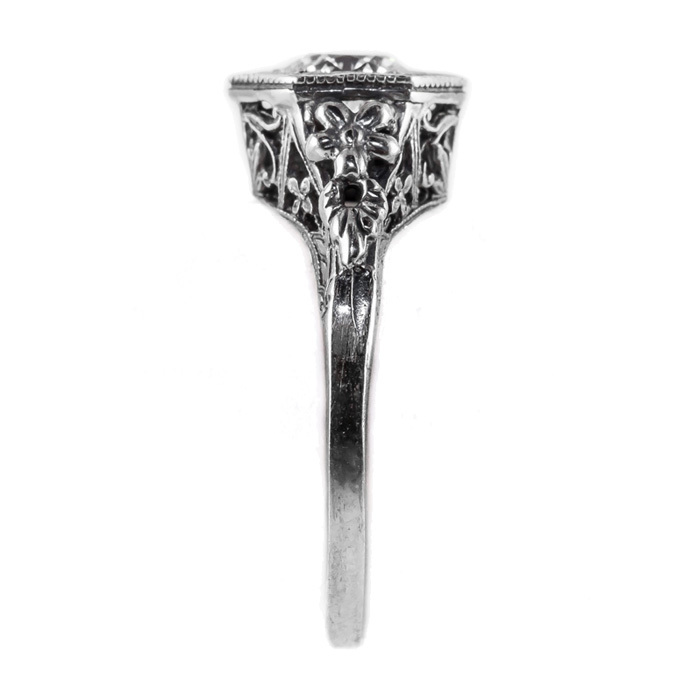 You will feel like you are on a movie set filming the next blockbuster when you wear this sterling silver ring with touches of floral. Please reference our ring sizing chart and buy one today. 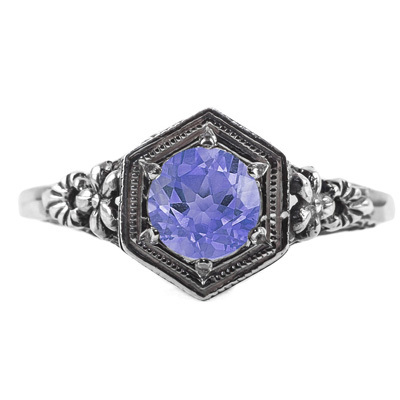 We guarantee our Vintage Floral Design Tanzanite Ring in Sterling Silver to be high quality, authentic jewelry, as described above.